For a casually elegant outfit, try pairing a charcoal wool blazer with navy jeans — these two items play perfectly well together. 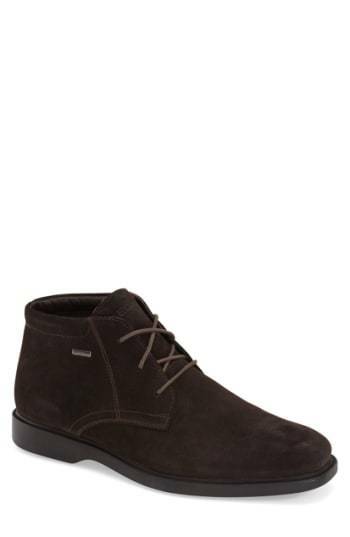 For shoes, choose a pair of dark brown suede desert boots. 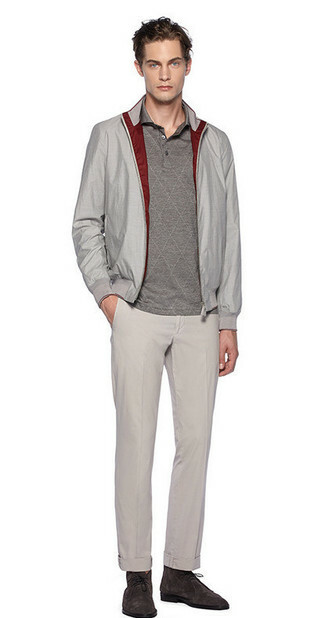 If you're searching for a casual yet sharp outfit, go for a grey bomber jacket and grey chinos. Both items are totally comfortable and will look great paired together. Look at how well this outfit pairs with Geox brayden abx amphibiox waterproof oxford. 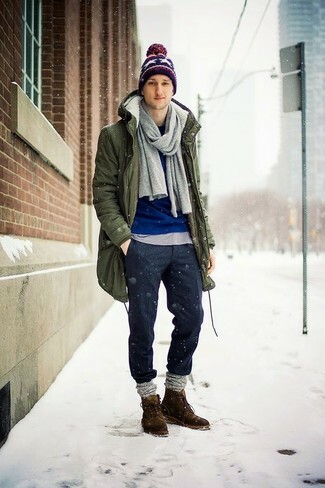 If you're on the hunt for a casual yet stylish outfit, team an olive parka with charcoal wool chinos. Both garments are totally comfortable and will look great paired together. Rock a pair of Geox brayden abx amphibiox waterproof oxford to show your sartorial savvy. Contrary to what you might believe, being a dapper dude doesn't require that much effort. Just try pairing a dark brown corduroy double breasted blazer with blue jeans and you'll look incredibly stylish. To bring out the fun side of you, complete your outfit with Geox brayden abx amphibiox waterproof oxford. If you're on the hunt for a casual yet seriously stylish outfit, rock a white and red and navy gingham long sleeve shirt with grey jeans. Both pieces are totally comfortable and will look great together. Got bored with this outfit? Enter dark brown suede desert boots to jazz things up. 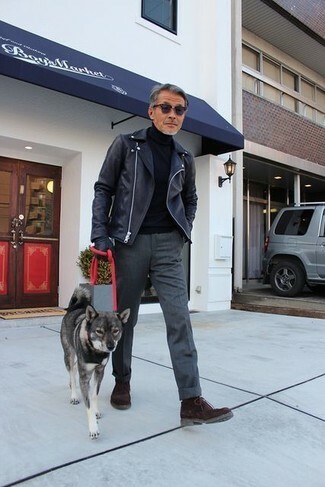 For a casually elegant getup, wear a black leather biker jacket and charcoal wool dress pants — these two items a work setting really savvy together. Add a sportier twist to your ensemble with Geox Brayden Abx Amphibiox Waterproof Oxford. Swing into something off-duty yet on-trend in a charcoal crew-neck sweater and black chinos. Let your outfit coordination prowess really shine by completing your ensemble with Geox dark brown suede desert boots. 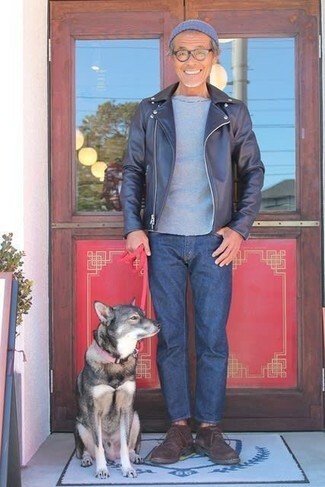 If you're on a mission for a casual yet on-trend look, try teaming a navy leather biker jacket with navy jeans. These garments are very comfortable and will look great together. Spruce up your look with Geox Brayden Abx Amphibiox Waterproof Oxford. If you're on the lookout for a casual yet on-trend ensemble, consider wearing a charcoal crew-neck sweater and charcoal jeans. Both items are totally comfortable and will look great together. When it comes to shoes, this ensemble pairs nicely with dark brown suede desert boots.